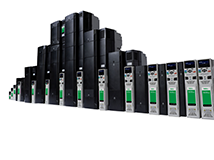 Nidec is a world leader in the design, manufacture and support of Electronic Drive and Drive support products which includes: AC Drives, DC Drives, Servo Drives, Soft Starters, and Packaged Drive Systems. Unidrive M is designed specifically for industrial applications. Led by the results of extensive customer-driven market research, we have tailored each Unidrive M model to specific application needs identified within industry. Unimotor is a full range of servo motors in a variety of choices to meet your needs. The Unimotor hd is a high dynamic brushless AC servo motor range, ideal for use with the Digitax ST servo drives. The Unimotor fm motor series is a high quality motor with many configuration and feedback options, ideal for use with both the Unidrive M (servo mode) and Digitax ST servo drives. The NT motor has an advanced motor design offering a compact footprint, with high torque and low inertia -- ideal for dynamic applications. 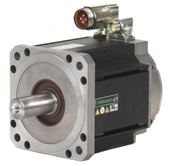 The XV motor is perfect for cost-sensitive applications that still require servo performance. The Digitax ST range is optimized for pulse duty servo applications requiring high peak torque (up to 300% peak), dynamic response, ease of use and flexible integration features. The range is perfectly matched for use with Unimotor hd servo motors. Digitax ST – Plus features a full functionality motion controller, optimized for high-performance machine cells requiring drive-to-drive networking and precision synchronization. The motion and communications are configured within a flexible IEC61131-3 software development environment using PLCopen function blocks. Digitax ST – EZ Motion offers a stand-alone solution for many common indexing and synchronized motion applications. This is achieved using a unique PC programming interface that guides the user through the drive’s I/O and motion configuration. Digitax ST – Indexer is designed for simple stand alone positioning applications using an onboard position controller. Digitax ST – Base is optimized for centralized control, to operate as an amplifier for motion controllers, motion PLCs and Industrial PC based motion systems using a wide range of digital or analogue interface technologies. M700 incorporates an Advanced Motion Controller capable of controlling 1.5 axes. The motion functions are carried out 'on the drive' so that system performance is maximized. 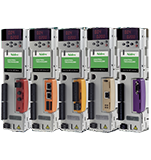 MCi modules can eliminate the need for external PLCs and motion controllers. MCi modules can be added to execute larger programs for advanced system control capability. Advanced Control Solutions is a Nidec distributor in Georgia, Tennessee, Alabama and Mississippi. We offer free evaluations and technical support to help our customers solve their applications.